Longer Hair In 5 Minutes? Yes, Please! n collaboration with Rapunzel I got the chance to try out their newest product - Ombre colored exstentions! Obviously I have a long hair already but these extensions make your hair thicker too which is always nice. 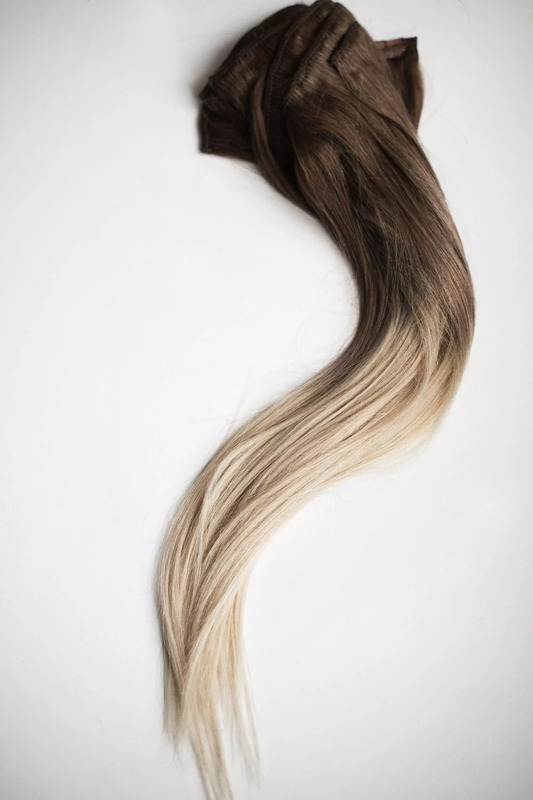 I really prefer clip-on extensions because of the fact that they don't damage the hair as much, are easy to put in/take off and last but not least, they are really easy to use and to take care of. If you take care of your extensions you can use them for a very long time. The color I'm wearing is the #T10/60 medium Ash blonde color.